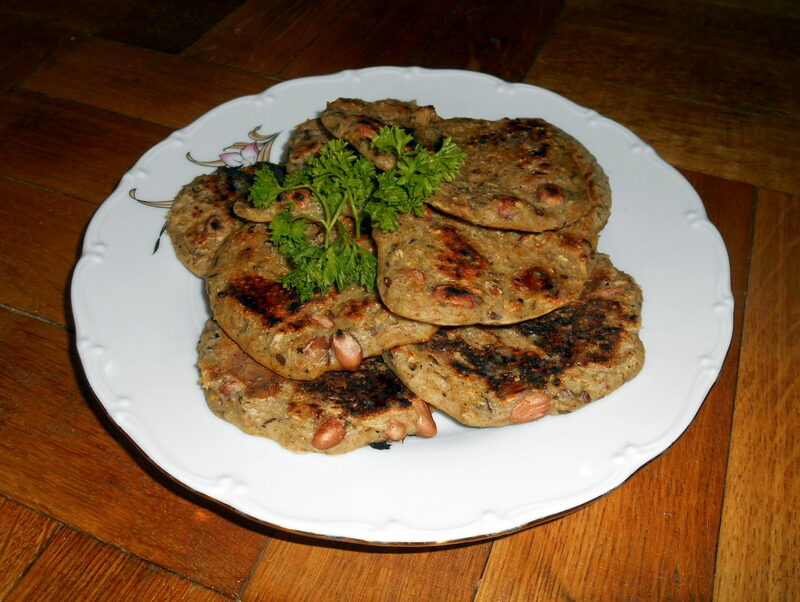 These flatbreads are ready in a minute and are sure healthier than ordinary bread. No sugar or oil, and yet delicious taste. 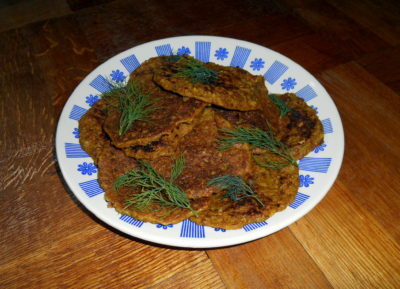 I have prepared them in two ways so far – buckwheat and oatmeal. However, there are a lot of choices and I recommend to experiment with ingredients. Next time I would like to try for example a millet, chickpea or groat base, a corn flour as a connector and always a small amount of nuts and seeds. Any spice mixture will determine the final taste. I tried the curry spice and the Czech classics of lovage, marjoram and cumin. Next time I want to try ginger spice, Thai curry paste, garam masala or adjique. The basis is to get acquainted with soaking and germination. Seeds and nuts soaked overnight in water get swell, which makes them more germinating and more digestible. By soaking and germination, the seed is being activated and its enzymes are switched on, which nourishes our bodies well. It is recommended to add a dose of sprouted rye or other cereal into the dough even when baking ordinary bread as well. However, the gluten contained in most cereals is generally not recommended. It is great for baking and shaping dough – it is good for flexibility and gummation. But gluten is an indigestible glycoprotein and it makes our intestines to pass insufficiently spent blocks of proteins into the blood, which subsequently clogs the lymph and the immune system. Gluten is in wheat, spelt, rye, barley. Oats are considered to be gluten-free. 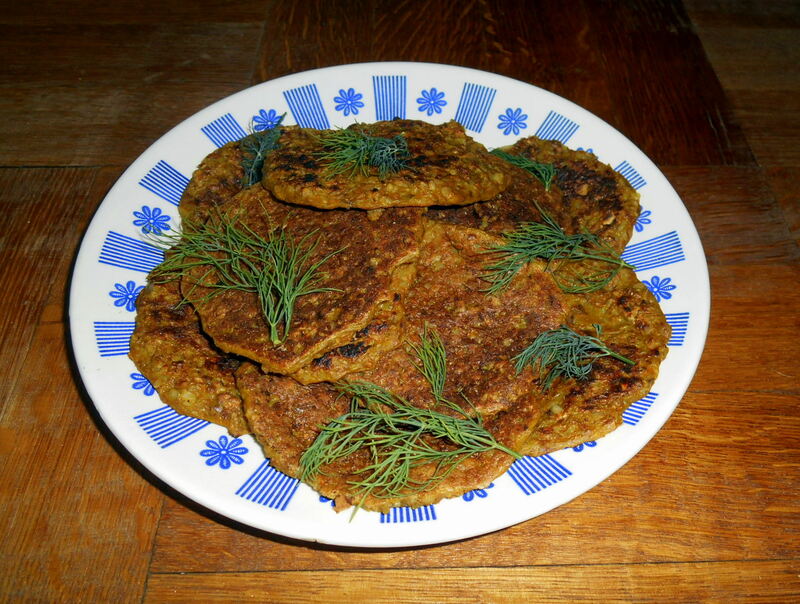 In oat flatbread recipe, I used an ingredient, that we mostly know only in roasted and salted form – peanuts. 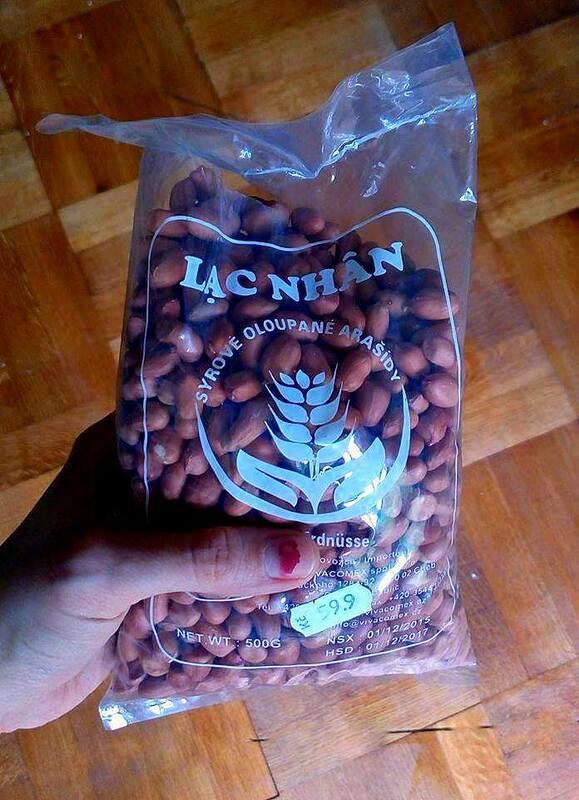 But Vietnamese in Czech Republic do sell raw peanuts! It costs 60 crowns per pound and have surprisingly a different flavour – reminds the taste of fresh peas with potatoes. Just as the pease, the peanuts grow in pods and as the potatoes under the ground. It is also good to soak them overnight and then use it for cooking or baking. (They are edible even raw). Rinse the buckwheat and let it soak overnight in the water. Do the same thing with sunflowers. It is better to dip each kind of seed separately. In the morning rinse once again and mix both. Add spices, salt, soysauce and flour. Stir well and let it one hour to swell. 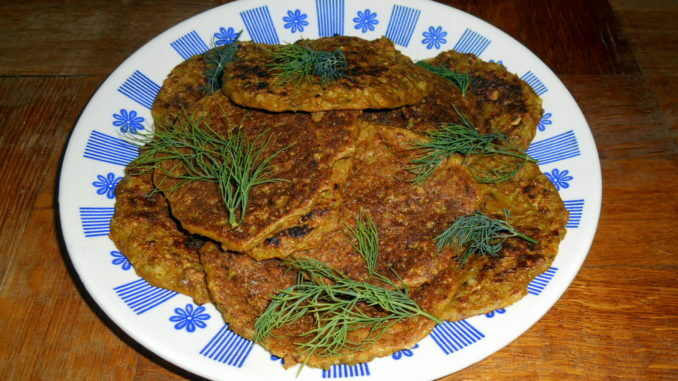 The saturated flour makes a paste-like consistency, which is easy to fry as a flatbread. Using a spoon or a small ladle, put a mixture on the pan – ideally on a flatbread pan, but I did not have it. Roast it at almost maximum power (for example, 5/6 level). In about 2 minutes, turn them and bake for the same or shorter time on the other side. 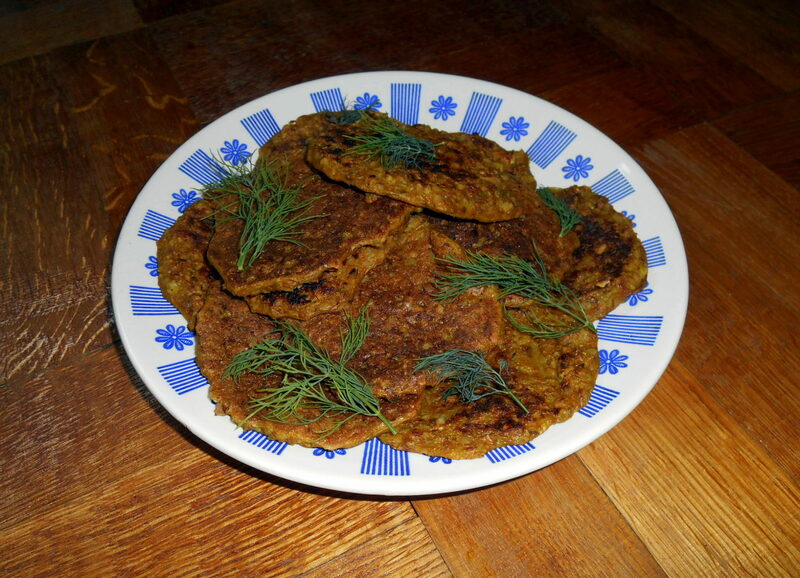 They are excellent with whole mustard and dill. The second day after staying in the fridge, the flatbreads are perhaps even better, pretty sappy.